Customers utilize Graco’s packer services and products to supplement their resources during the completion and subsequent well maintenance operations. In support of our packer services, Graco provides advisory services, name brand oilfield packer choices, seasoned and service oriented technicians to manage the tools, shop facilities within a service center to redress the tools, and support and quality control throughout the operation. We believe the packer is an integral component of the production string. The most basic requirement of the packer, and associated tools, relates to enabling efficient flow from, or injection into, the formation to the tubing string or production conduit. The packer must not restrict normal production or injection flow. 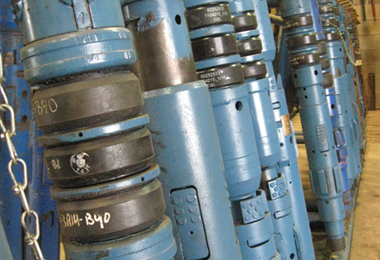 Types of packers vary greatly, and are often designed or configured to meet specific wellbore or reservoir conditions, and the full range of pressure and temperature applications. Graco has the experience and wisdom necessary to advise operators on the right packer solution.